Each week, Little T and I read a book five days in a row. We are inspired by Before Five in a Row (BFIAR) and usually add learning ideas of our own. 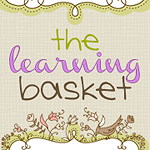 You'll find below the list of books we have already "rowed" (studied, explored) and made Learning Baskets with. Sometimes, though, our Learning Basket is based on places we're going to or have been to, events, occasions, and books not found in the BFIAR book list. Click on a link to see the fun things we have done and learned, and maybe, hopefully, you can pick up some ideas that you can do with your child, whether you're homeschooling or not. Happy reading! We're Going on a Bear Hunt: What an Adventure! I'm interested to use BFIAR for my little one. Would you know where to get the books here in PH? Thanks! i have passion for books and i wanna share this love with my baby! are these available on ebook too? hello! you have a nice site. i haven't finished reading. there are lots of interesting books here that I wish I read to my kids when they were younger. I'll include you in my blogroll. i run a site for parents of special children. they may be interested in the books you have here. Hi Mariel. Would you recommend we buy the before five in a row set of books? tks! Hi po. What's the difference between the BFIAR and BFIAR lit. package po? Is it advisable to buy both po? Thank you.